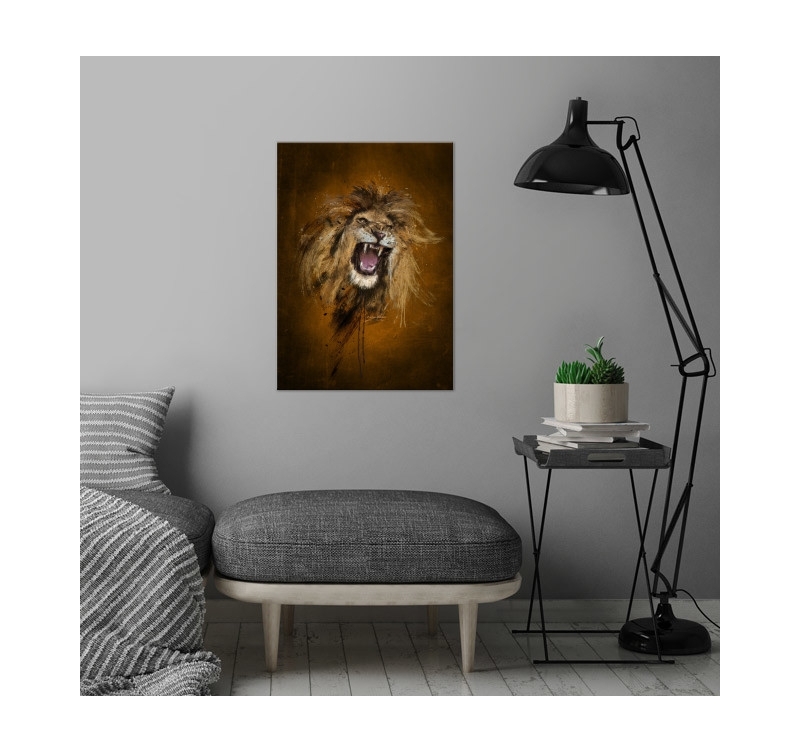 The fury of the lion on a metal poster to put natural and wild character in your interior decoration. 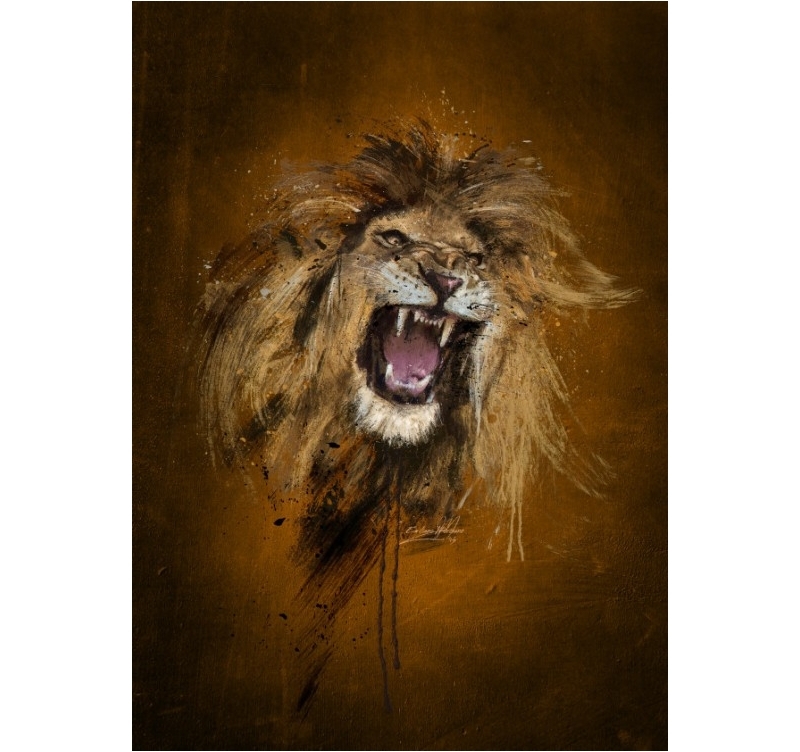 The king of animals roaring on a metal deco poster is an imposing and majestic ornament on a wall. 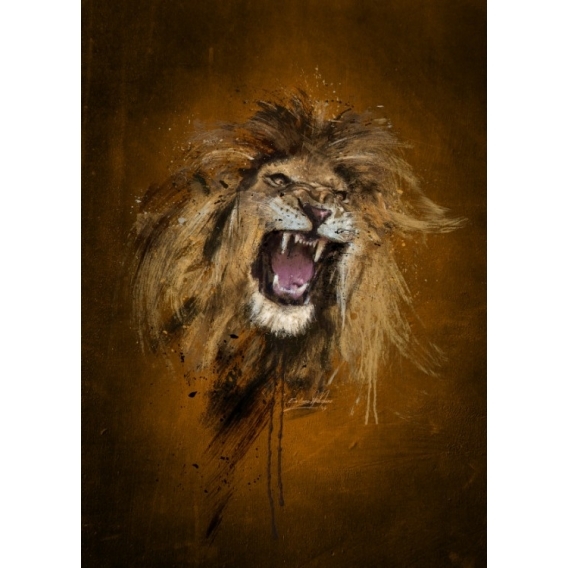 Completely free shipping in metropolitan France and Belgium for this lion wall poster. Formerly an imposing hunting trophy, the lion's head is still very popular today as an image on a design metal poster. With respectable dimensions, this decorative accessory highlights shades of golden colors, ranging from dark brown to light beige, combining variations of shade and clarity for a more lifelike look on the wall of your favorite room. 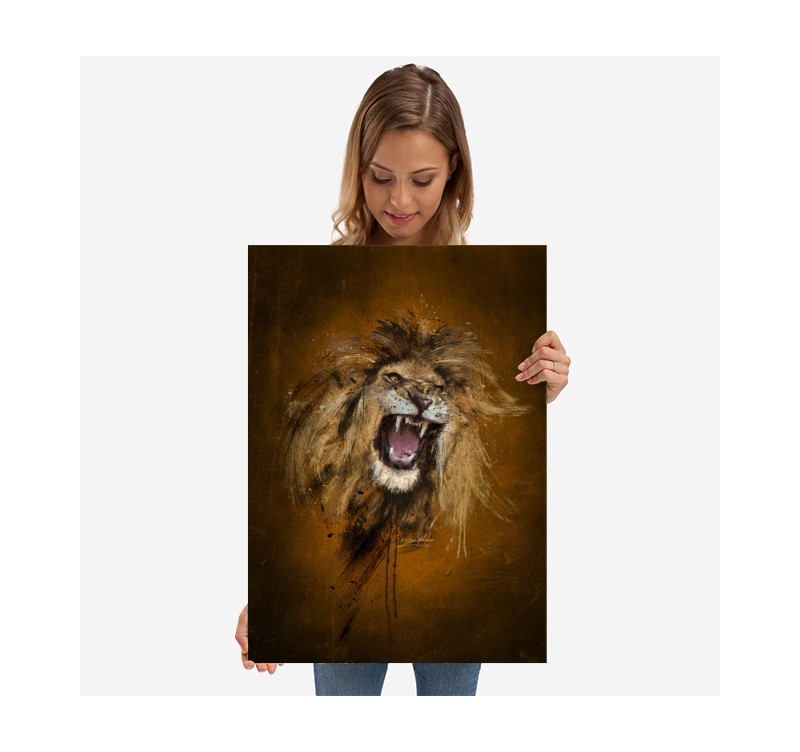 On this metal wall poster, the lord of the African savannah proudly shows his sharp canines. His gaping mouth is a mute cry affixed to the metal wall decoration. 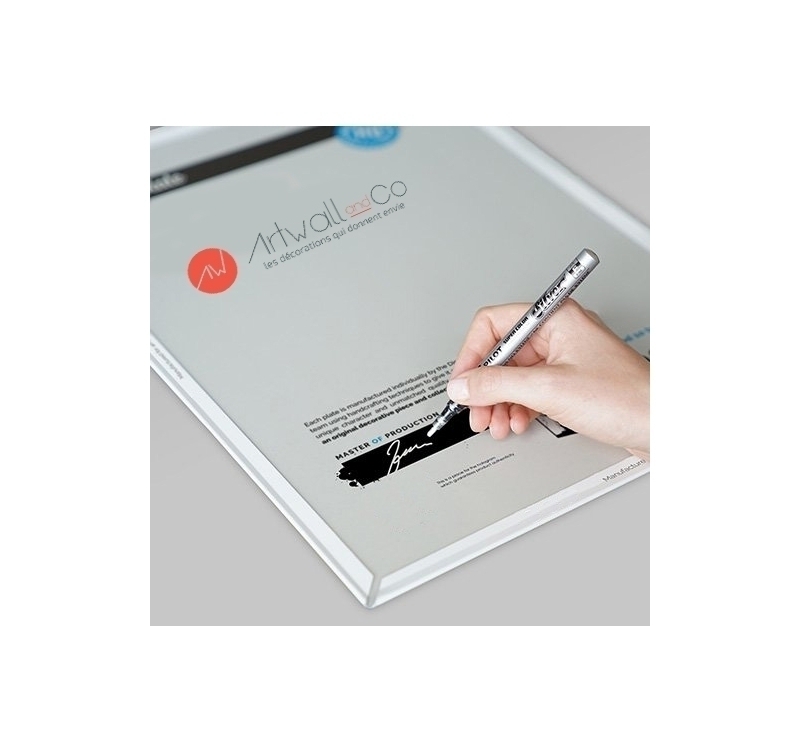 An article designed by Artwall and Co for wilderness lovers. 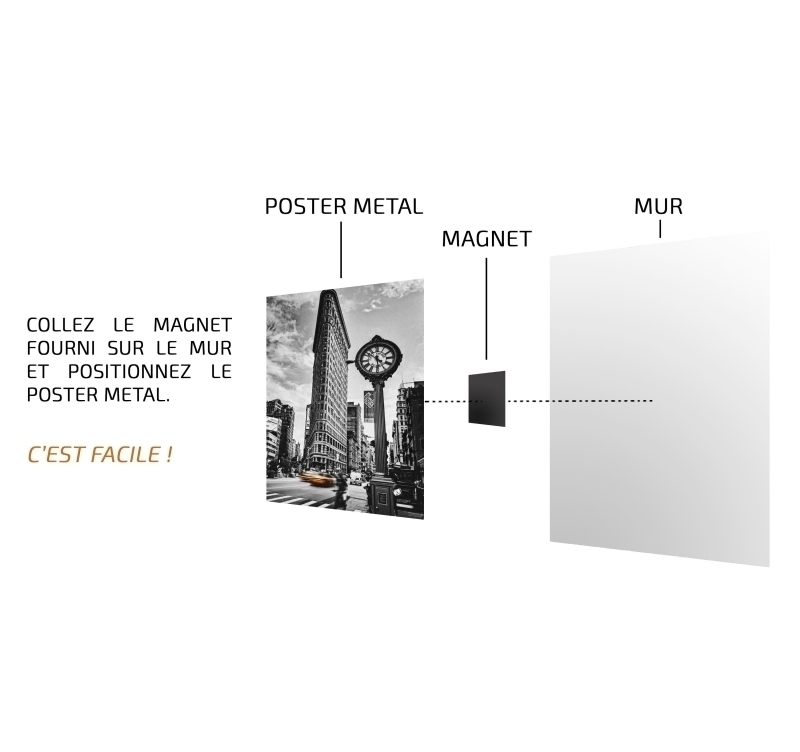 This metal wall poster was made by our artists and comes with our magnetic attachment system.